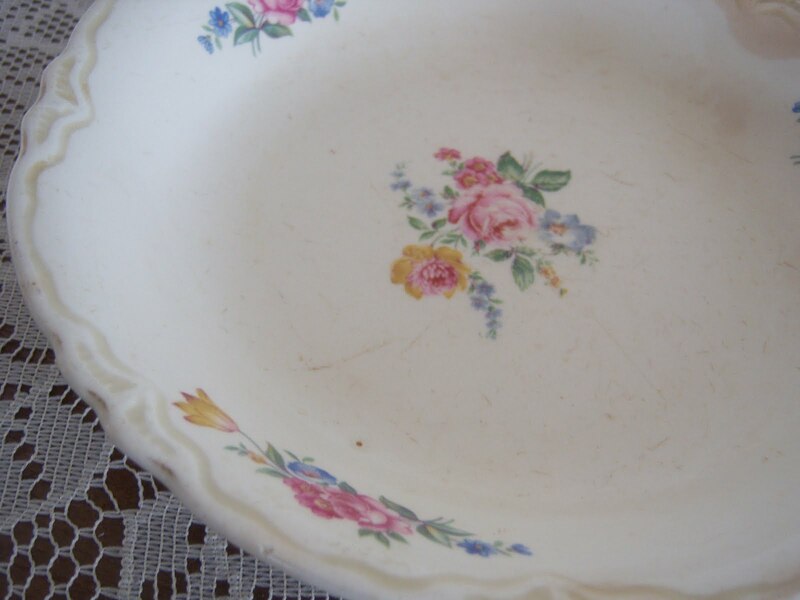 I found this sweet little bowl recently and it reminded me of my grandmother's house. While I know it isn't the prettiest. It isn't the ugliest either. I had in mind that someone might take it and break it and make it into a piece of jewelry or brooch. I just think it is sweet. You?